Valcom, Inc. is a manufacturer of IP and analog voice paging systems, IP centric multimodal systems and telecommunications enhancements. They are focused on manufacturing the best products available in their 120,000 square foot facility and quickly getting the product out to their respective distributors across the world. Valcom, Inc. was looking for a way to print barcode labels for their products and then use a barcode scanner for data entry and barcode verification. 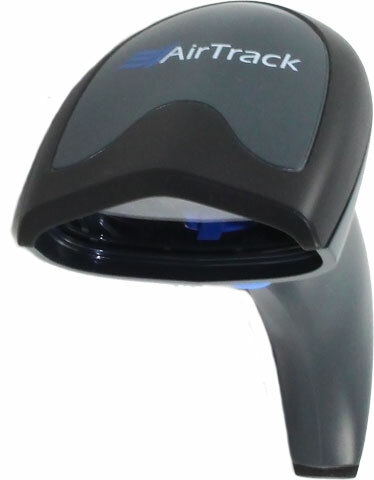 Barcodes, Inc. recommended the AirTrack S1 for Valcom, Inc.’s scanning needs. The S1 is a linear imager barcode scanner that offers 400 reads per second which is ideal for fast scanning and reading poor barcode labels. Additionally, the S1 is able to withstand repeated drops from 5 feet to concrete. 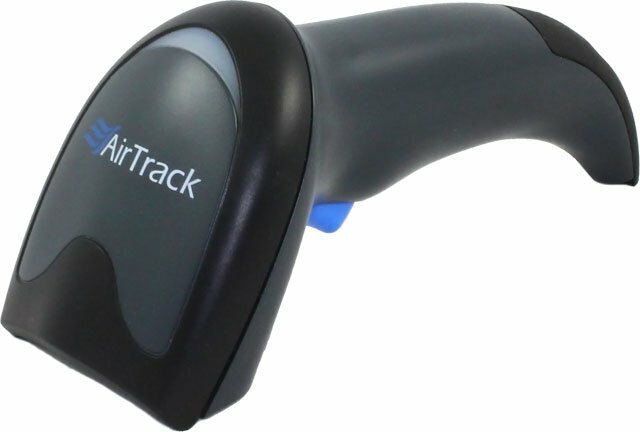 AirTrack devices are commonly used in manufacturing, logistics, warehouse, and retail environments. Since implementing their scanning solution, Valcom, Inc. has been able to better organize their inventory and ensure products are being delivered to the right distributors. Furthermore, they were able to gain peace of mind by purchasing an AirTrack comprehensive service contract, which covers them against defects, normal wear and tear, and factory upgrades. To learn more about Barcodes, Inc.’s solutions and services or AirTrack, contact one of our representatives. Honeywell is constantly updating their scanners’ firmware to improve scanning performance so you want to make sure your scanner performs at its best. Updating firmware is simple. How to update Honeywell scanner firmware. Click on the “Software” tab and scroll down to “Firmware”. Save the .MOC file to your hard drive so that you can grab it later. For Bluetooth scanners (Xenon 1902g, Granit 1981i), you will need to update firmware for both the scanner and the charge/communication base. Always remember – update scanner firmware first! Connect your scanner to your computer via USB. Click “Connected Device”. See below. EZConfig will find your scanner. Check to see what the latest firmware version you have on your scanner (see below). Don’t trust EZConfig if it tells you that your “Firmware is up to date.” Check the Honeywell website – it gets updated first. Select “Update Firmware” if you need to update your firmware. See below. Select the .MOC file you saved earlier. Select “Update Firmware” and you are done. FOR BLUETOOTH SCANNERS – Very important! Update the scanner’s firmware first then the base firmware. Also note that the EZConfig will say that the connected device is a “Xenon Charge and Communication Base”. The system knows that you are upgrading scanner firmware (when you are updating the scanner’s firmware) and will update the scanner through the charge/communications base automatically. GLADGIRL.COM is a cosmetic manufacturer and distributor of professional eyelash and eyebrow extensions, application tools, after-care and makeup products. They produce a large volume of labels in a variety of different sizes for products to be identified and sent to various locations. They were using a standard laser printer to print subpar quality barcode labels and their employees were having difficulty scanning the respective barcode. GLADGIRL.COM wanted an industrial-grade printer that can offer flexibility with respect to printing various sized barcode labels and interface connection. Barcodes, Inc. recommended the AirTrack IP-1 to GLADGIRL.COM for their high quality, high volume printing application. The IP-1 is capable of printing at 14 inches per second, produces clean, high quality barcodes, and comes equipped standard with USB/Ethernet/Parallel/Serial interfaces for customers who require multiple interface compatibility. The IP-1 was capable of printing the small 1.0” x 0.5” labels that the customer required utilizing the Wasp WaspLabeler barcode software to design the labels the way they needed them. In the end, GLADGIRL.COM’s IT Manager was pleased with the flexibility and cost effectiveness that was provided by the AirTrack printer. 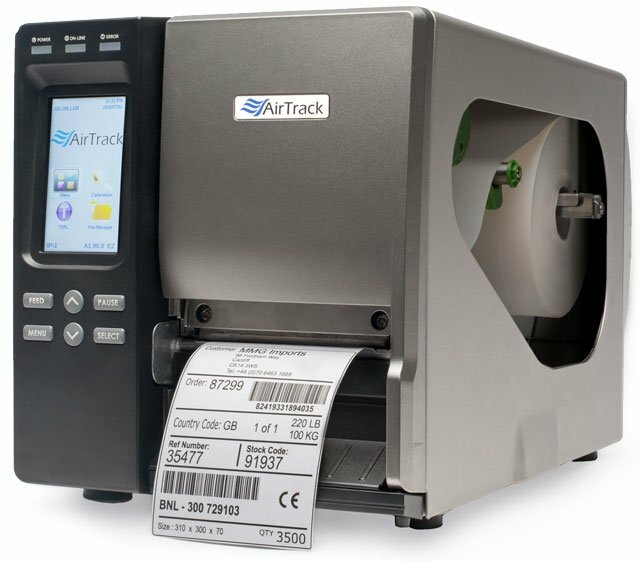 To learn more about AirTrack or our labeling solutions, contact one of our representatives. Tri-State Ice Management is a full-service consulting and management company that specializes in ice rink management, feasibility studies, construction management, and design consultation. They were looking for a better way to keep track of their customers as they use their various facilities. For example, they wanted the ability to use different colored barcode labels to allow access into the different facilities. Additionally, they wanted to allow the public to buy 2-hour passes and use different colored barcode labels to track individuals while on the ice rink. Barcodes, Inc. recommended the AirTrack IP-1 for Tri-State Ice Management’s people tracking application. The IP-1 is engineered to print 14 inches per second for high volume printing. Its heavy duty die-cast aluminum design is suitable for harsh environments. Furthermore, the IP-1’s flexibility allows it to print high quality barcodes on various sizes and colors of barcode labels. The industrial grade printer is ideal for compliance labeling, work-in-process, order fulfillment, asset tracking, ticketing, and other applications. Since incorporating this solution Tri-State Ice Management has been able to capture more usable data on what facilities their customers are visiting, along with optimizing the management of their facilities via people tracking. To learn more about AirTrack or our tracking solutions, contact one of our representatives. Field Fastening is a supplier and solution provider of fasteners and other highly volume Class “C” items. As a solution provider, Field offers a robust vendor managed inventory(VIM) programs to keep their customers operations running smoothly. Field utilizes a data-driven approach to saving their customers time, money and inventory space by maintaining 99.98% on time delivery. To maintain high standards, Field has found that the Datamax-O-Neil by Honeywell Printers helps them and their customers keep track of complex inventory levels. Field relies on the Datamax-O’neil E-4205 printer to create readable and consistent labels for inventory locations from bins to totes. Field came to Barcodes, Inc. to find a technologically efficient way to update, track and maintain inventory levels at their customer’s locations. Barcodes, Inc. recommended a complete barcoding solution with the combination of Datamax-O’neil printers and labels. This combination allows for the user to quickly load labels into the printer and for the printer to easily connect to scanners or laptops for efficient printing. Field Fastening continues to outfit their VMI locations with Datamax-O’neil printers and labels from Barcodes, Inc.
To learn more about Datamax-O’neil by Honeywell Printers call one of our knowledgeable representatives.